Scientists have built a new software that can quickly and efficiently model and print thousands of hair-like structures – a task that normally takes a huge amount of computational time and power through conventional software. The 3D printers today can print just about anything, from a full-sized sports car, to edible food, to human skin. But printing hair, fur, and other dense arrays of extremely fine features has been extremely difficult using the technology. The researchers at the Massachusetts Institute of Technology (MIT) developed the new technique to bypass a major design step in 3D printing. Instead of using conventional computer-aided design (CAD) software to draw thousands of individual hairs on a computer – a step that would take hours to compute – the team built a new software platform, called “Cilllia”, that allows users define the angle, thickness, density, and height of thousands of hairs, in just a few minutes. Using Cilllia, the researchers designed arrays of hair-like structures with a resolution of 50 microns – about the width of a human hair. The results were presented recently at the Association for Computing Machinery’s ‘CHI Conference on Human Factors in Computing Systems’ in San Jose, California. 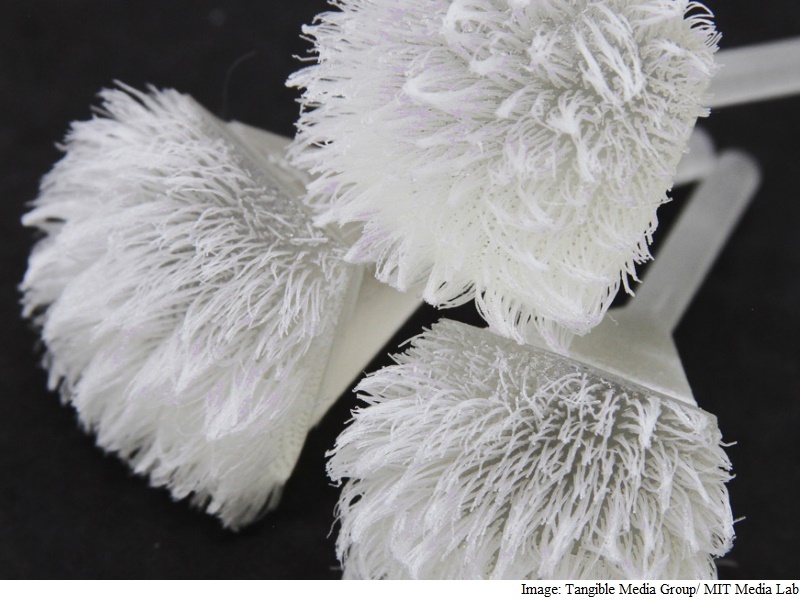 The new technology could be used to print wigs and hair extensions, the researchers said, adding 3D-printed hair could also perform useful tasks such as sensing, adhesion, and actuation. To see whether 3D-printed hair can help actuate, or move objects, the team fabricated a weight-sorting table made from panels of printed hair with specified angles and heights. As a small vibration source shook the panels, the hairs were able to move coins across the table, sorting them based on the coins’ weight and the vibration frequency. “We’re just trying to think how can we fully utilise the potential of 3D printing, and create new functional materials whose properties are easily tunable and controllable,” said study lead author Jifei Ou.